Happy New Year to everyone! I wish you all the best in 2018. And after a long time of inactivity here, I’m back with a summary of 2017. Can you do the same? Give it a shot and write your own summary. It would be great to have those most important and memorable moments recorded. In fact, it will be very useful if you later want to have your autobiography done or if you want your children and descendants in the future to know more about you. 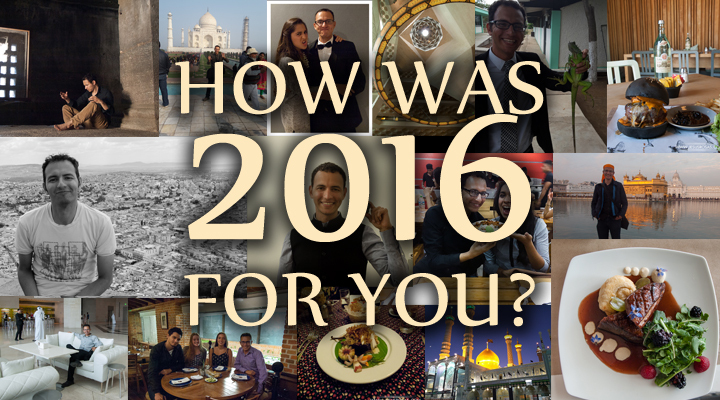 Here is my year summary in specific areas (not in any particular order). My immediate family is scattered across three different countries. I have been living in Qatar since the end of August of 2016. One of my sisters is living in the US, and two sisters and my mom live in Mexico. My dad passed away in 2012 (if you read Spanish, you can read his obituary in the Obituario a Jesús Rosas Núñez (papá) post). However, my sister who lives in the US and I managed to travel to Mexico without telling anybody and surprised our family during a Christmas Eve dinner at a restaurant. We just popped out and left our family in shock. Here’s a brief video taken with a phone by our kind hostess who was working in the restaurant. Thank you, Fanny! My circumstances in 2017 made slightly more challenging to go out as often as in previous years. Distance, daily schedule, fewer people of similar interests, new aside protects, and the like have contributed to it. However, I still was able to meet new friends and people; again, many from a wide variety of nationalities because of the travels I made. I went to some conversation clubs, gameboards meetups, went out with work colleagues, and, tried to meet new people online. Iranian friends in a trip to Baku, Azerbaijan. 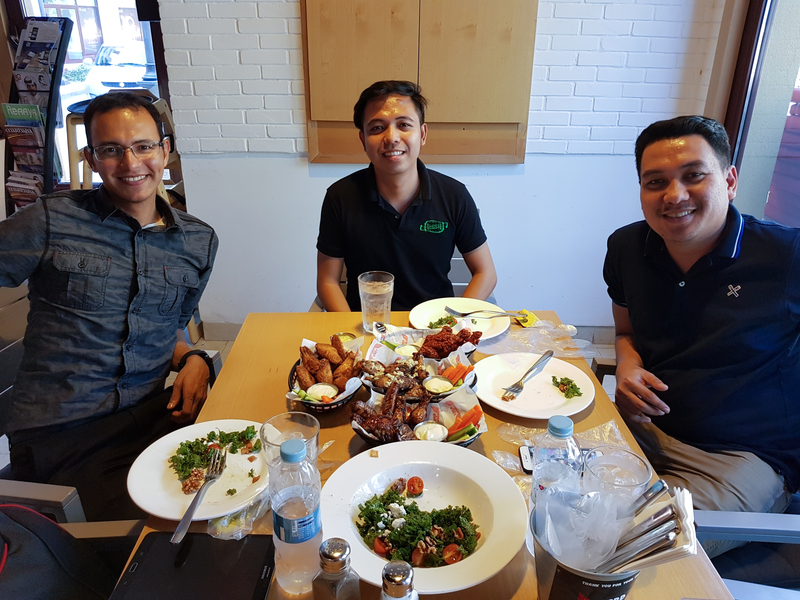 Friends from the Philippines who are also living in Qatar. 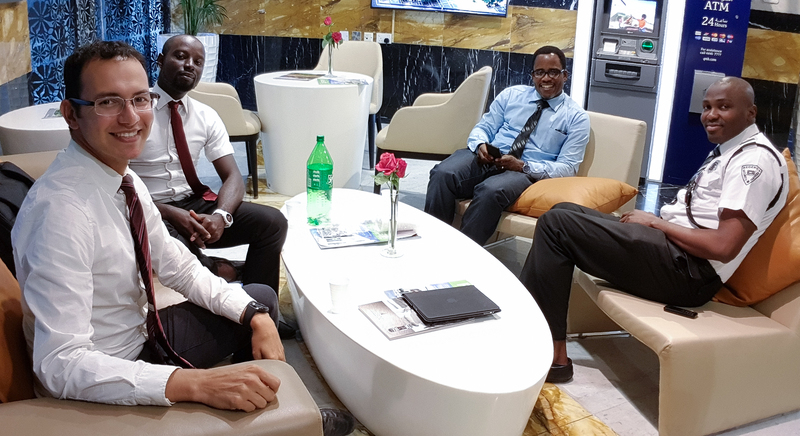 Mingling with Nigerian friends with a strong faith in Christ. I also went to a couple of gatherings organized by families in their homes. They called these gatherings “Musical Soirees” in which whoever wanted, shared a musical talent in a casual family environment. Those who attended also shared some food. It was pretty cool to see from young children to elderly people get together and share fun and memorable moments. Along with those gatherings, I feel so blessed for all the people I have met here and there and have enriched my life in one way or another. If you are one of them and you are reading this, thank you for your friendship. In terms of love, I tried a long distance relationship with someone I already knew in person. I was looking forward to formalizing things and was planning a surprise visit, but she broke up with me before my secret intentions came to happen. I’m now looking forward to a new bright beginning with whatever 2018 brings along. In terms of work, I continued working as a teacher in Qatar. You can read more about that in my post A New Stage in My Life: Qatar. However, I have already signed a letter of intent in which I’m stating that I’m not renewing my contract with my current school. I’m considering taking another job again as a teacher. But, as of the date of this post, I’m not sure if I’ll stay in Qatar or go to a different country yet. In 2017 I visited more countries than in any other previous year. 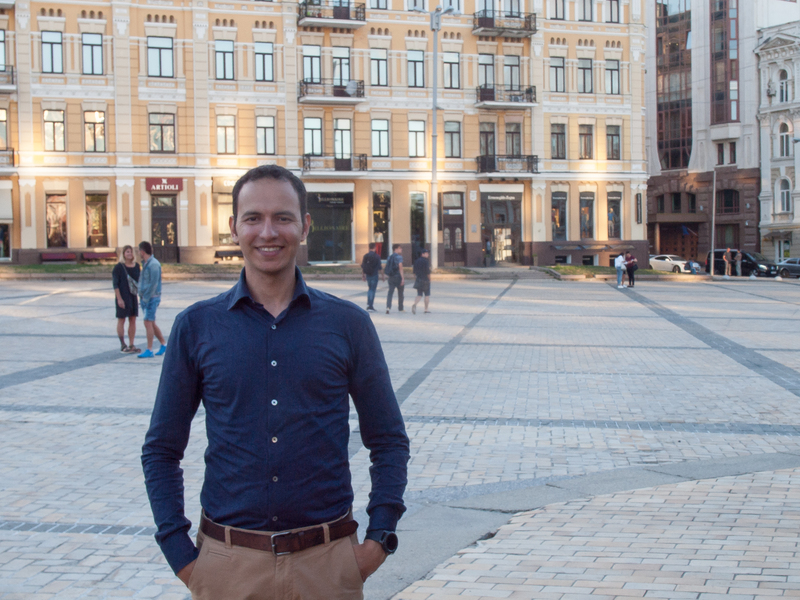 Without counting Qatar, I visited the following countries in the order I’m listing them: India, Armenia, United Arab Emirates, Azerbaijan, Georgia, Ukraine, Poland, Czech Republic, Slovakia, Hungary, Romania, Bulgaria, Macedonia, Greece, Singapore, Philippines, Malaysia, and Mexico. 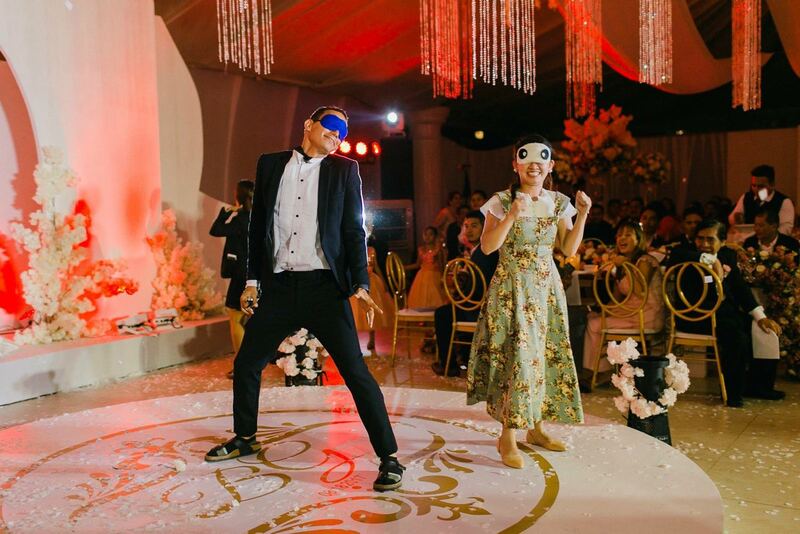 One of the highlights of my travels was attending a wedding in the Philippines of one of my colleagues. It wasn’t just a wedding, but it was one the most spectacular wedding receptions I have attended. You can read more about it in a coming post ( subscribe to the blog if you want to be notified when it’s published). 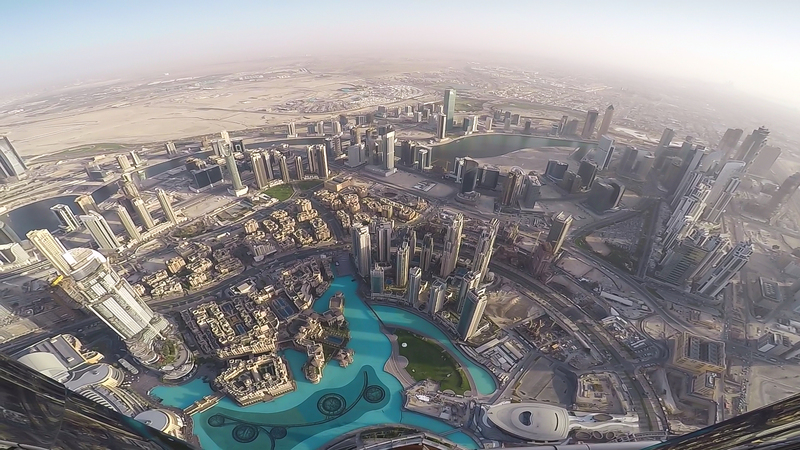 Other experiences I had visiting those countries were going to the Burj Khalifa in Dubai (United Arab Emirates), which is the tallest building in the world. 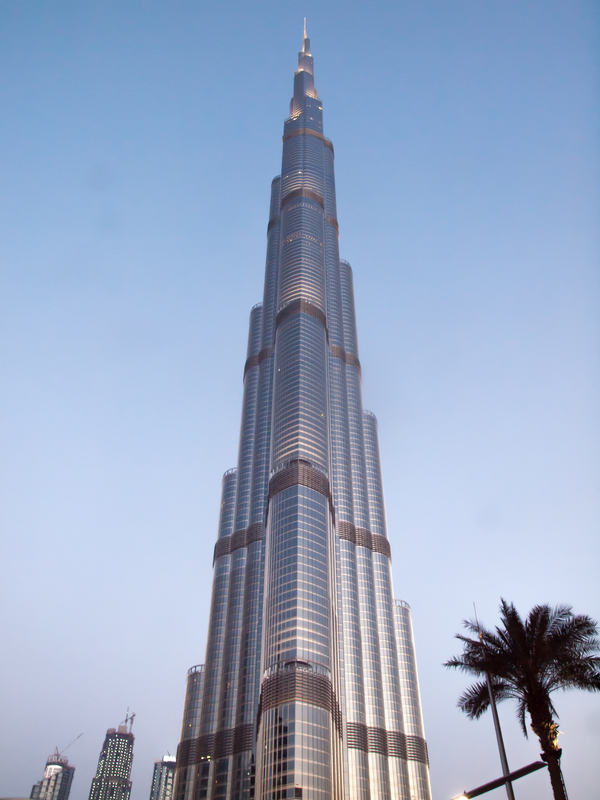 As of 2017, the Burj Khalifa was the tallest building in the world. I went to the Acropolis in Athens (Greece), which I constantly saw in posters and books, but hadn’t had the chance to visit. 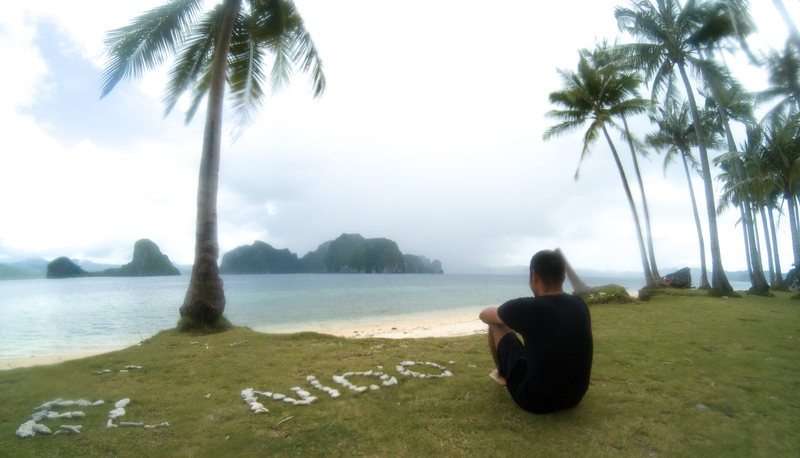 El Nido in the Philippines, unfortunately, my camera was wet and pictures turned out blurry. I also went to Auschwitz (Poland), not a fun place to go, but it provoked a combinations of thoughts and emotions such as deep gratitude for my life, compassion for those who lost their lives there, insights about humanity, dignity, survival, love (i.e. mothers giving all their one daily food ration to their children, etc.) and more. 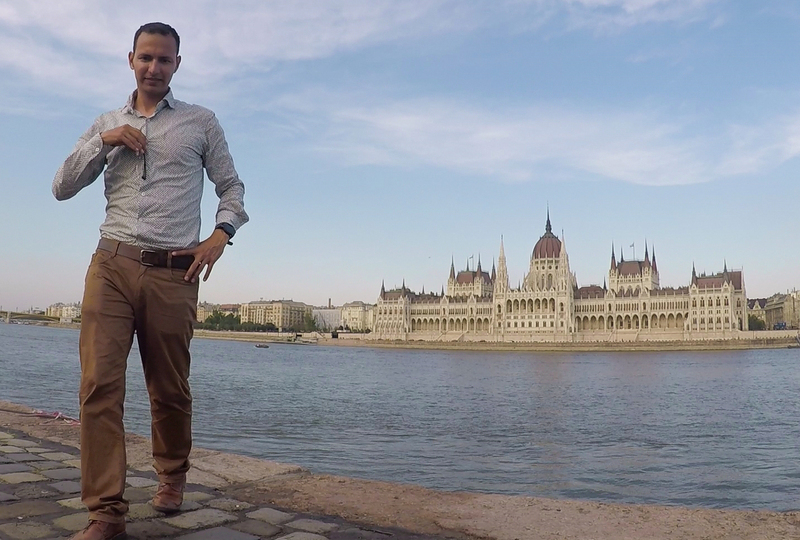 Here’s me and across the Danube River you can see the Hungarian Parliament Building in Budapest, Hungary. 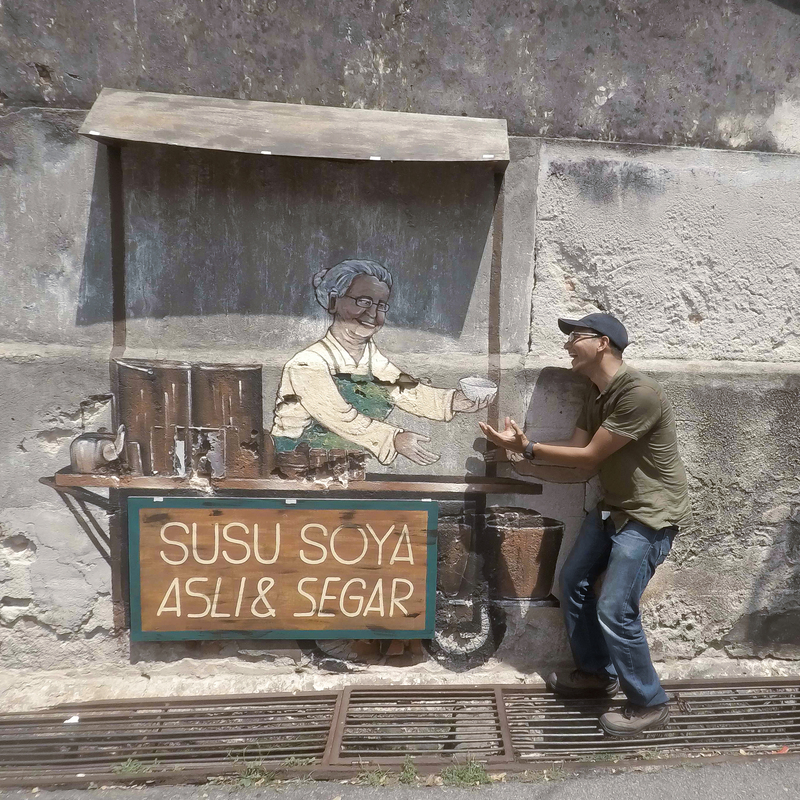 Playing around with street art in George Town, Malaysia. And the best of all in 2017 was Christmas. As mentioned earlier in this post and shown in the video, one of my sisters and I surprised the rest of our family on Christmas Eve. 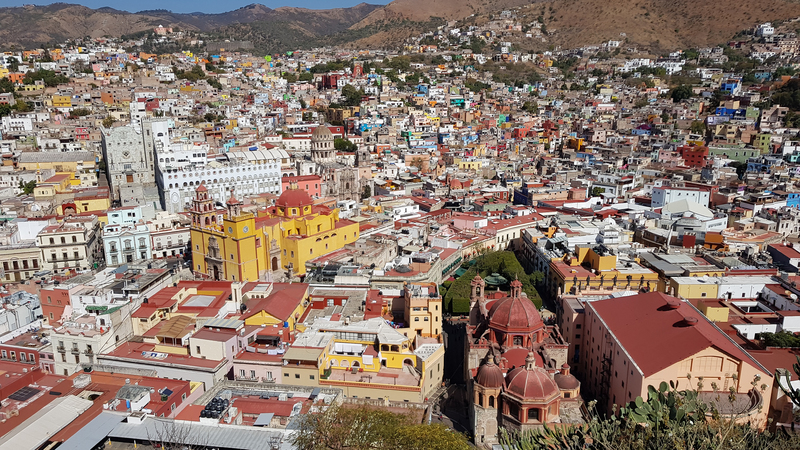 Also, after Christmas, we all ended up traveling to Guanajuato. 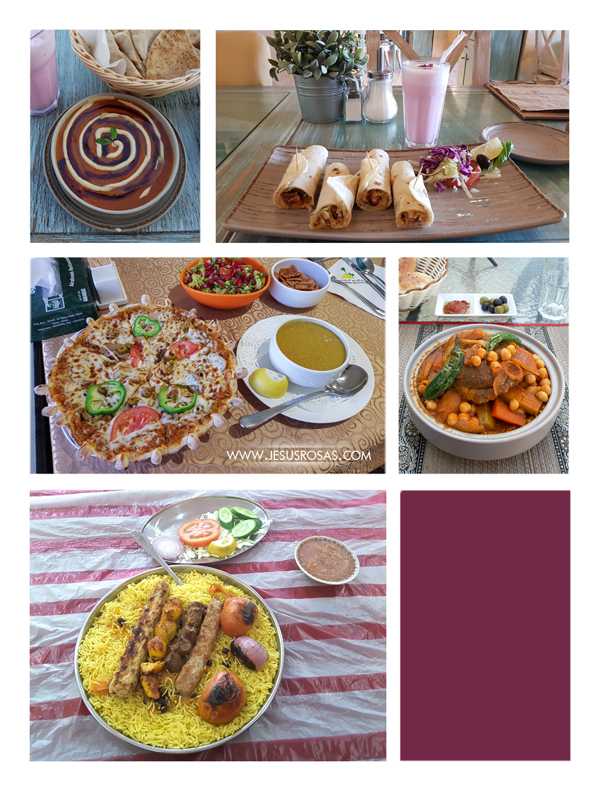 Food is one of the things I take the most pictures of, and here are some new things I ate here and there. Not necessarily the best pictures or best meals in 2017. 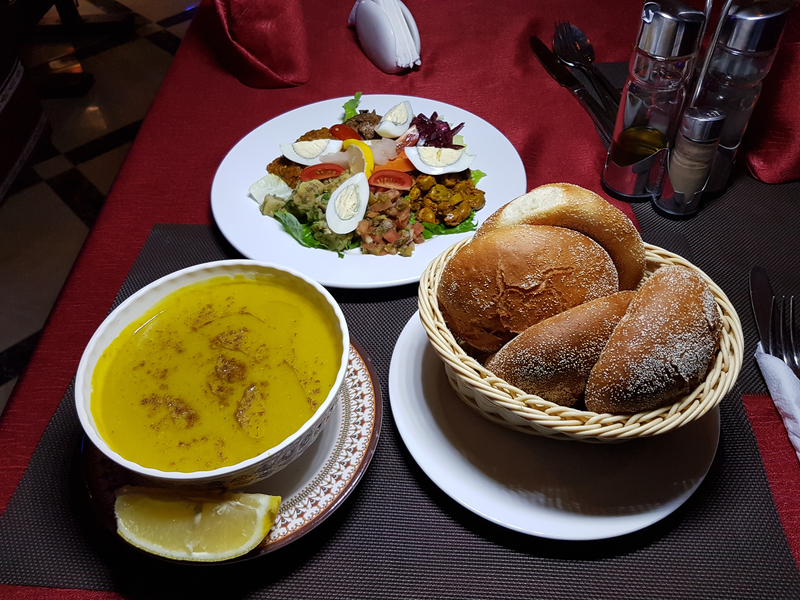 Here’s some of the food you can often find in Qatar. 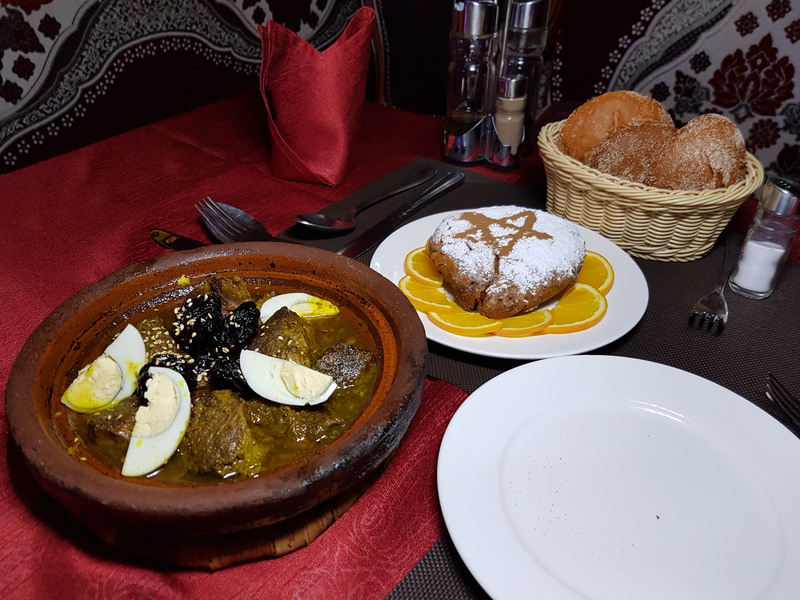 It is Arab food. 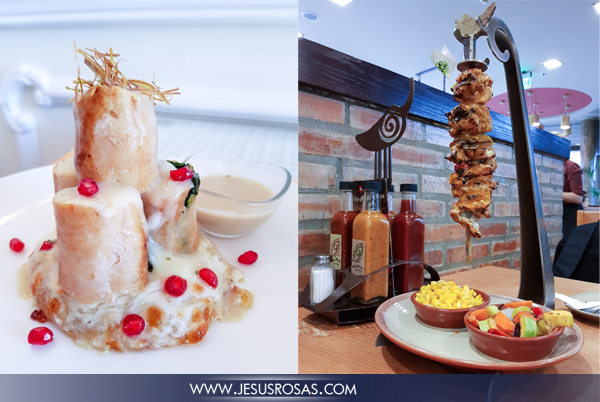 And I really like the creativity with these chicken dishes. The one on the left had some sort of fresh cheese inside and a nice sauce and pomegranate on the top. The one on the right was from Nando’s and it was marinated with mango and lime. In 2017, just as in the previous year, I took around 28,000 pictures. As usual, only a small percentage turned out to be good enough to share here on my blog one day. In 2017, most of my entertainment didn’t involve people (reading, watching movies, dining alone, etc.). 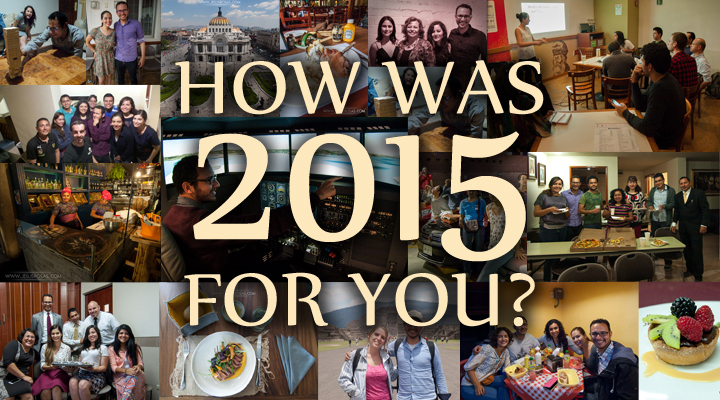 I did go out with friends and other people, but not as much as in previous years. One of my best experiences was attending a single adults convention in Abu Dhabi, United Arab Emirates. 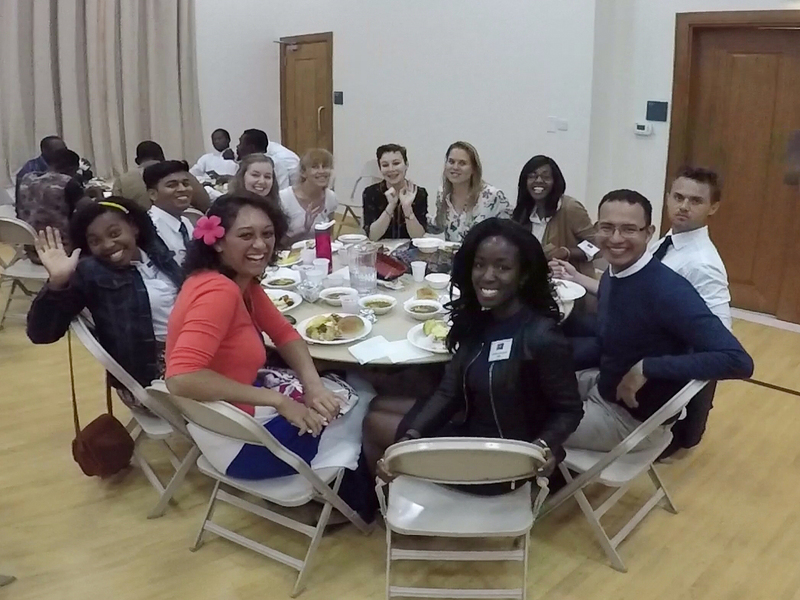 This was a gathering of Mormon singles with Christian values. Besides having workshops, games, a dance, and food, we also had uplifting talks. 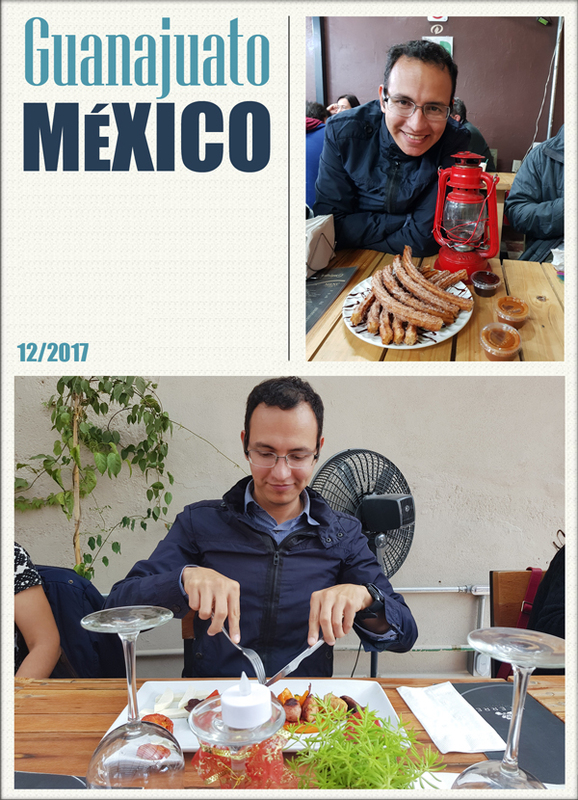 It wasn’t as elaborate as other conventions I have attended before (See, for example, My Experience at the Guadalajara YSA Convention 2015 – Special Guest: David Archuleta. ), but it was definitely uplifting. My spiritual journey during 2017 was a challenging one. I didn’t put much effort into reading my scriptures every day. By not doing it, there weren’t many daily reminders of my spiritual journey, the purpose of life, and faith-promoting thoughts. However, I continued praying every day and attended Church regularly throughout the year. A couple of important events in this area were the visit of Elder Dallin H. Oaks for a devotional at Church on March 11, 2017, the uplifting messages of the Single Adults Conference in Abu Dhabi, some LDS General Conference talks online and a talk with my bishop in the Al Wakrah beach. This latest experience was almost a spontaneous meeting. My bishop had had a dream about me and my spiritual journey and wanted to share it with me. During the week after one of his work visits in Al Wakrah, he picked me up after my work and took me to a nearby beach, almost empty, we walked a few meters away from the water. The wide open horizon with the sky in front of us made me think as if I were walking towards the infinite or in some sort of celestial path with clear water and sand. I felt a soft wind blowing while feeling peace and closeness to God. My bishop took the time to talk to me and see how I was doing in my life. This was for me as close as having been to the temple or even a more individual gift from God. I received counsel, I was inspired, I felt peace and I felt that God cared about me once again. I was indeed not forgotten. Walking with my bishop. At one point I took out my GoPro camera and stick for just a quick shot. That moment is one of the highlights of my spiritual life in 2017. I felt so blessed for such a blissful moment. And what did you do a year ago on the first day of 2017? Can you remember? I received 2017 in Amritsar, India spending the night with pilgrims around the Golden Temple, the most sacred place for those who practice Sikhism as their religion. There was an accommodation for foreigners; a less than a one-star type of hotel, but I was there for the experience. I heard the excitement and chants among the pilgrims while the clock marked the beginning of 2017 and fireworks did their job to call people’s eyes and ears. A guy from New Zealand and his girlfriend from South Korea were the other people I talked to. We said happy New Year to each other and I went to bed. A couple hours later, still early in the morning of January 1st, I went back to the Golden Temple and took pictures of the sunrise while some people were praying, taking pictures, mediating, or taking ritual baths around the lake of the temple. 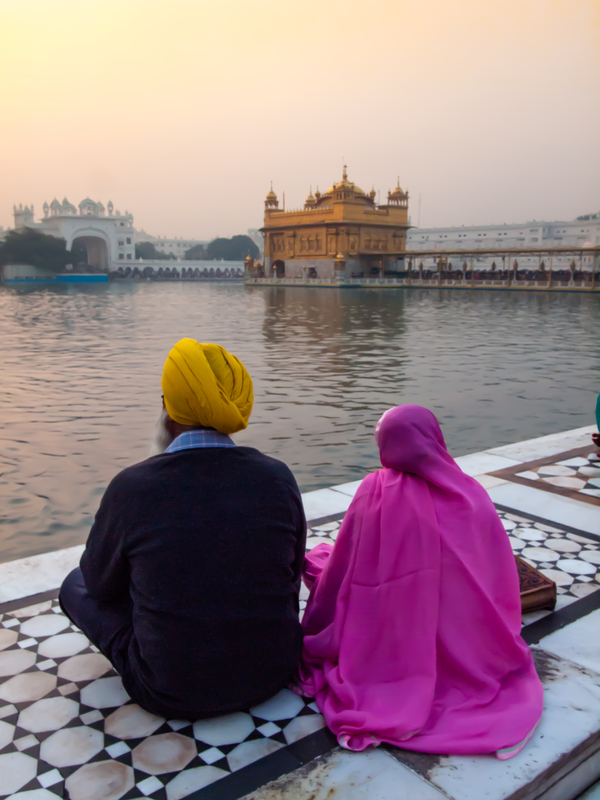 An old couple looking at the first sunrise of the year while sitting near the Golden Temple in Amritsar, India. Then I went to the place where thousands of pilgrims gather to have breakfast. Thanks to the kindness and donations of many, the breakfast was free. People either donate the food or their time to cook or clean. I lined up surrounded by hundreds of people in a hall and waited to enter into a wide room with no furniture. We sat on the floor in rows and got our food served. It was quite an exotic and wonderful breakfast experience. 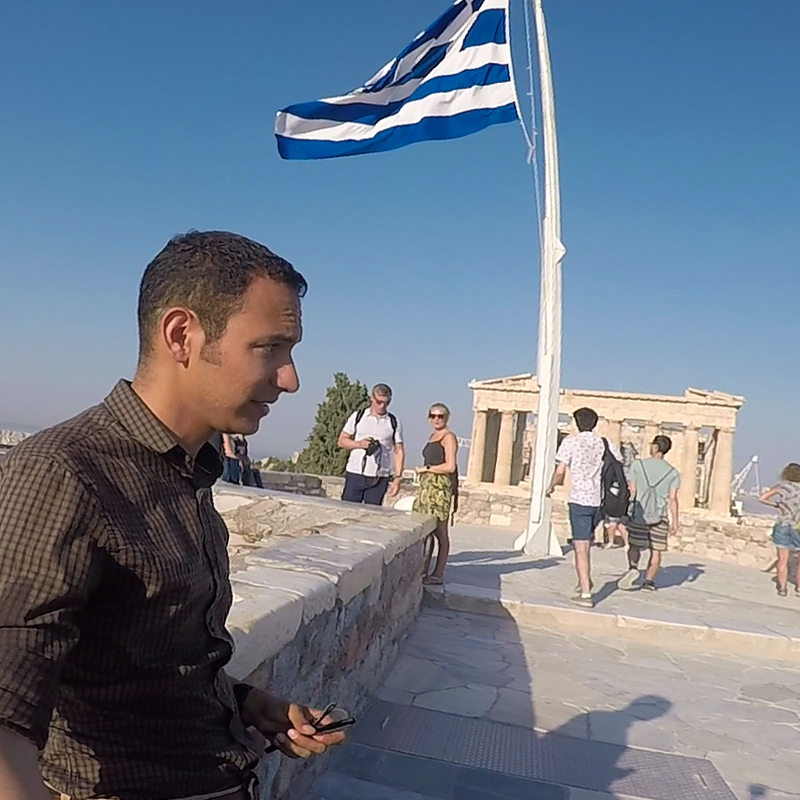 After that, I went around the Temple again, climbed a nearby tower and then head out to the airport back to Qatar. The last day of 2017 wasn’t as exotic and fun as I would have liked. I had a flight scheduled for December 30 from Guadalajara, Mexico to Dallas, USA and from Dallas to Doha, Qatar. Unfortunately, my connection flight in Dallas was moved 35 minutes earlier and I hadn’t been notified. So I missed my connection flight and had to spend 24 hours in the airport of Dallas for a new flight. And I didn’t feel like going out with my light clothes in a city that had minus zero Celsius temperatures at the time. I didn’t go to a hotel, I just spent the night in the airport and I went back and forth mostly in Terminal D looking for a Micro SD memory card and anything interesting to shop. But I didn’t see much. My sister who lives in the US was also having her connecting flight in Dallas in the afternoon on the 31st. So I got her flight information to at least see each other for a few minutes. 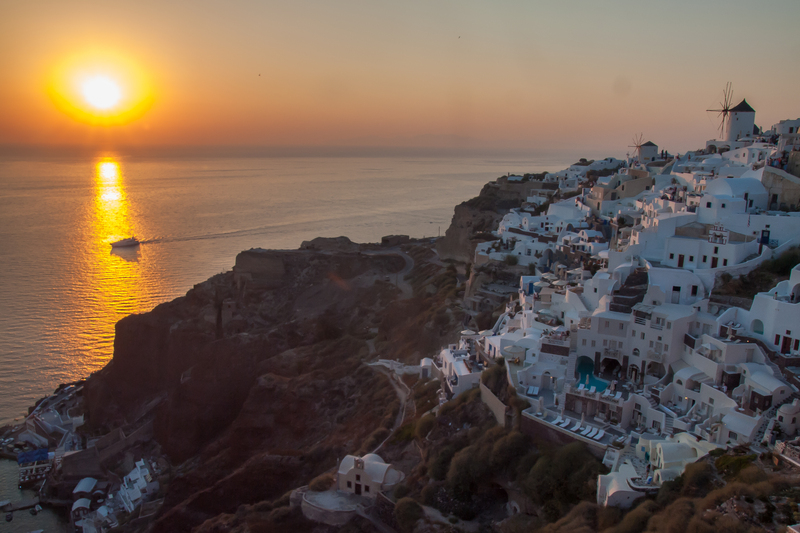 However, the customs line, security, transferring from one terminal to another, and all those lines almost made her lose her connection flight too. She arrived at her gate right at the minute they were about to close doors. We were only able to say hello and goodbye to each other in less than 5 seconds. She was running and fortunately, she made it on time, we didn’t even have time to take a picture. After that, I went back to my terminal and boarded my 16-plus hour flight to Doha. I received 2018 unaware and without any fanfare in some unknown time zone sitting on a tight seat with my belt fasten flying back to Qatar. I arrived on the evening of January 1st. And that’s it. This was an overview of my life in 2017. I’m looking forward to another great year in 2018. Again, if you want to receive an automatic notification of my summary in 2018 and other coming posts, enter your email here. Don’t worry, you will not receive Spam from me. What do you think? Do you have a comment? Leave it here. If you liked this post, click on the Facebook or Twitter buttons below and share it. Until the next post! What a beautiful video of you surprising your Mom and sisters. I cried knowing how much that meant to your Mom to have her family together. Every place you visited in 2017, I would have loved to have seen. I guess for now, I will have to enjoy these places through your eyes and photos. Thanks For sharing!